Rosie Milne is a British writer who lives in Singapore. After reading her wonderful book, Olivia&Sophia, I interviewed her when I was passing through Singapore. Rosie happily discussed her book with me and was very kind to open her home to me when I visited. A while ago I read a book that touched me deeply. 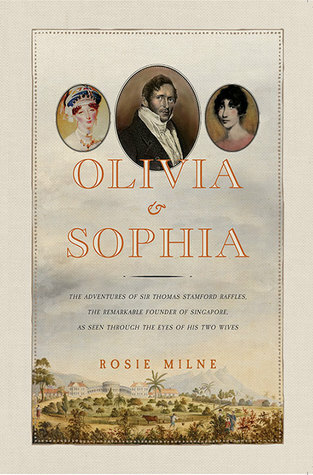 Olivia & Sophia is the story of Sir Thomas Raffles, a British statesman best known for having founded Singapore, told by his two wives, Olivia Mariamne Devenish and Sophia Hull. As I explained in the review, on a recent visit to Bogor in Indonesia (it was known as Buitenzorg in Raffles’ time) I came across the memorial that Raffles built in memory of his first wife Olivia, when she died of malaria. I was touched by the sentiment behind the statue to this woman, who died so young in a foreign land (she was forty-three), after following her husband from England. I simply had to know more about her life, and what it was like for her to live abroad, so long ago. 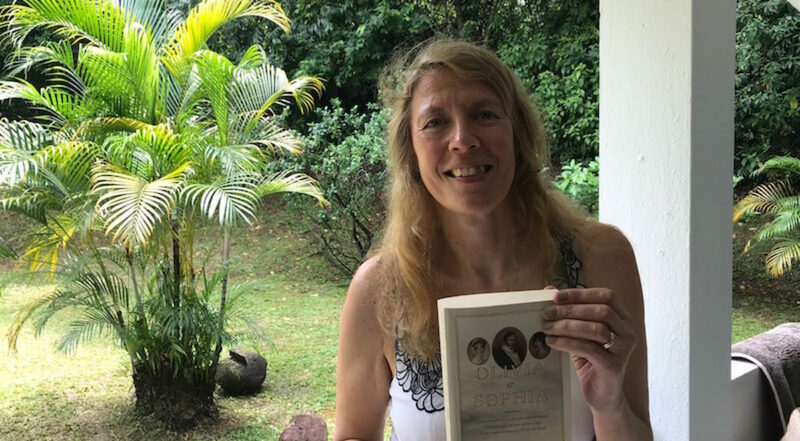 I was delighted when I came across Rosie Milne’s book about Raffles’ two wives, and read it expectantly. I absolutely loved it, and when I discovered that the author was living in Singapore, I simply had to interview her. It has been a great honour for me to discuss this amazing book with its author. Rosie was working in publishing in England when her husband was offered a job in New York. The whole family followed him there. “That’s when I decided to become a writer”, says Rosie. “Moving to New York I lost all my contacts in the publishing world, and I thought writing could be a suitable career for a spouse to follow her husband with. I also liked the feeling of being more in control, which comes with writing”. Rosie published her first novel, How to Change your Life, in 2002. The second, Holding the baby, followed three years later. Both are novels that Rosie says could be defined as romances, with modern day characters. I asked her how she came up with the idea of writing a novel set in the past, and one based on real characters and a true story. “I want to point out that the novel is not historically accurate, though most of the events in the book have actually happened. I wanted to focus on the lives of the two wives, and sometimes adapted the events to suit the need to describe these two exceptional women, their extraordinary lives and their bitter fate. I actually got the idea quite suddenly one day when I was observing a white statue of Raffles outside the Asian Civilization Museum, here in Singapore. I remembered that he had had two wives, and I simply thought it could have been interesting to find out about them and make them talk”. And talk they do, though in two very different styles. The novel is told in the form of personal journals, and I cannot even begin to imagine what it must have meant for Rosie to enter the minds of the characters, and make them recount the incredible adventures they went through. “I loved them both. They were very different but they had something in common: They were both very brave women, who endured a lot to be with the man they loved”. Rosie and I discussed at length this aspect of the story, the hardships that a trailing spouse had to endure all those years ago, compared with the comparative ease that the modern day equivalent faces today. “I did not specifically want to write a book for expat women, but I think expat women will probably be more deeply touched by it. 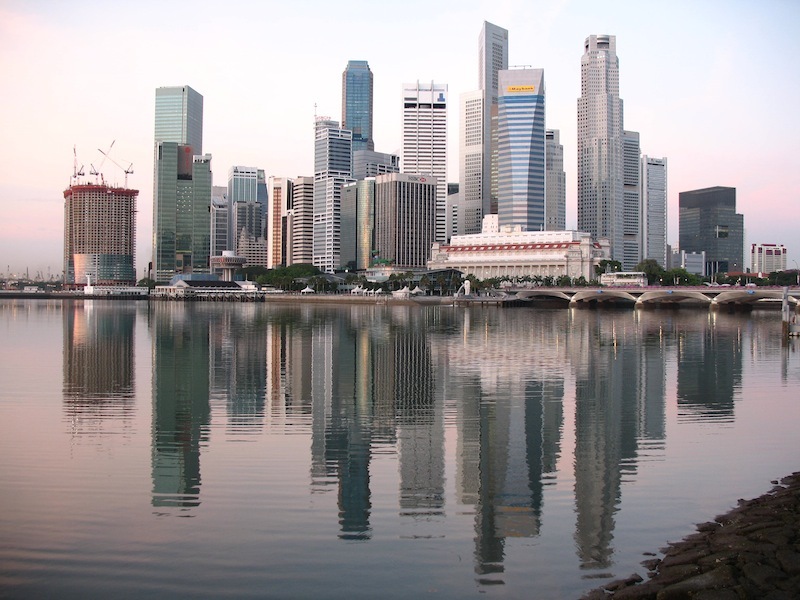 The comparison between how expat lives were at that time, and how they are now, is shocking. Just imagine what it meant to leave your home country to go abroad: You said good-bye to your family at home knowing that – if all went right – you would not hear from them at least until you touched shore, and that meant six to twelve months. Letters took one year to arrive at their destination, if they ever made it. The sea journey was very, very hard. Living and sanitary conditions on these risky ships, were appalling. Upon arrival, one faced a completely unknown setting, and of course there had been no chance to prepare yourself beforehand. Living conditions were so very hard for foreigners. Sophia lost four children to tropical diseases! I guess one message I would like readers to get out of the book, is how lucky we are today to have all these wonderful new technologies, that make our lives abroad so easy”. The internet has indeed opened up a lot of opportunities for artistic and creative women, who want to continue working, when they follow their partners abroad. Besides being a prolific writer, Rosie has also created a wonderful blog on Asian books, https://asianbooks.com. We both agreed, that apart from India and China, Asian literature is highly under-represented on the world book market. After the interview, I went to see the statue of Raffles, that had so inspired Rosie to write Olivia & Sophia. It was a precious moment. I felt grateful to Rosie for producing a book which gave me such insight into expat lives at that time, and for giving me the opportunity to glimpse a part of history, from the area in which I had been living, for a couple of years. Thank you Rosie for your hospitality and discussing your illuminating book with me.